Meizu Note 9 Bags CMIIT Approval as Launch Looms Near - Playfuldroid! Recent reports have revealed that the Meizu Note 9 could be first smartphone from Meizu official this year. 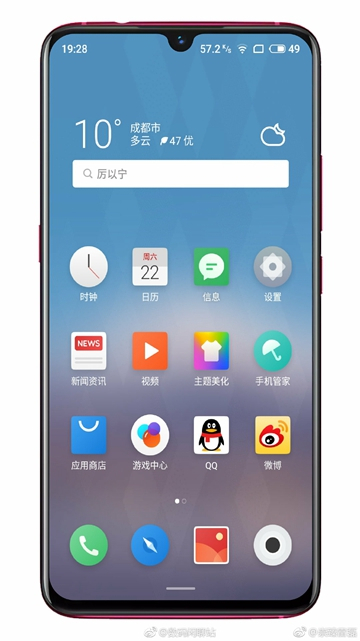 The smartphone has a model number of M923Q which has been recently approved by 3C authority in China. Today, the same smartphone has bagged approval from China’s Ministry of Industry and Information Technology which indicates that the launch of the phone may not be far away. As usual, the CMIIT approval of the handset hasn’t revealed any details on the specs of the phone. However, the CMIIT certification of the phone suggests that it has received one of the key approvals that is required to launch a smartphone in China. The Meizu Note 9 could be the first phone from the company to arrive with waterdrop notch enabled display. It is speculated that the display of the phone could measure 6.3 inches. Also, it is expected to arrive with a side-mounted fingerprint scanner. The Note 9’s dual camera setup present on its rear is likely to feature Samsung ISOCELL GM1 48-megapixel primary sensor. Also, it is rumored to debut with Snapdragon 675 chipset. The phone could be packed with a decent battery of 4,000mAh capacity. Probably, the smartphone may go official later in February in the home market.